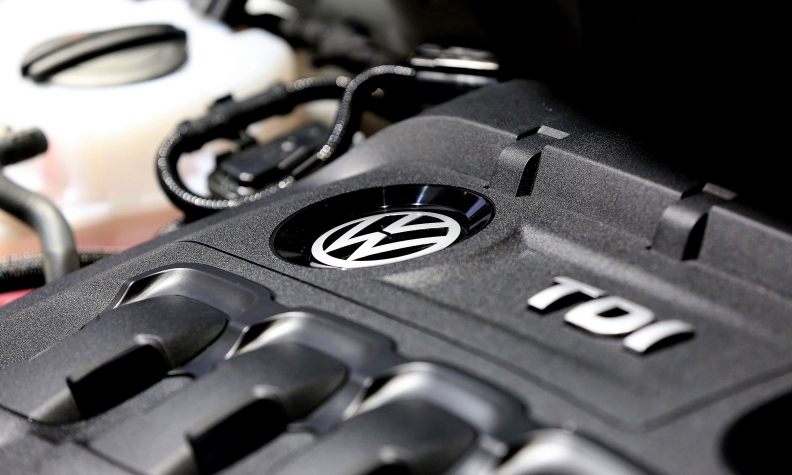 WASHINGTON -- Volkswagen Group has paid $2.9 billion to repurchase nearly 138,000 U.S. diesel vehicles through Feb. 18 under a sweeping settlement over emissions violations, a court document made public on Tuesday shows. The report by an independent claims supervisor said the automaker is buying back and terminating leases on about 15,000 vehicles a week. VW has made offers to buyback vehicles or cancel leases to 323,179 U.S. consumers totaling $5.86 billion, it said. VW agreed last year to spend up to $10.03 billion to buy back up to 487,000 polluting 2.0-liter vehicles that have software that allowed them to evade emissions rules in testing. Earlier this month, a federal judge granted preliminary approval to a plan for Volkswagen to pay at least $1.22 billion to fix or buy back a separate group of vehicles -- nearly 80,000 polluting 3.0-liter diesel vehicles. The 3.0 liter vehicles have an undeclared auxiliary emissions system that allowed the vehicles to emit up to nine times allowable limits. Volkswagen could be forced to pay up to $4.04 billion if regulators do not approve fixes for all 3.0-liter luxury Porsche, Audi and VW diesel vehicles in the settlement. U.S. Judge Charles Breyer will hold a hearing on May 11 on whether to grant final approval to the proposal. In total, VW has now agreed to spend up to $25 billion in the United States to address claims from owners, environmental regulators, states and dealers and to make buyback offers. Volkswagen is set to plead guilty on March 10 in Detroit to three felony counts under a plea agreement to resolve U.S. charges it installed secret software in vehicles to allow them to emit pollution up to 40 times the legal limit.